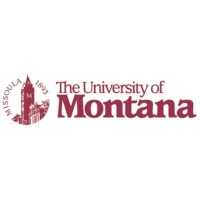 Review: The University of Montana?Missoula (often simply referred to as the University of Montana; UM, U of M, or "The U") is a state university located in Missoula, Montana, in the United States. Founded in 1893, the university is the flagship campus of the four-campus University of Montana System and is its largest institution. The main campus is located at the foot of Mount Sentinel, the mountain bearing Missoula's most recognizable landmark, a large letter "M." Since its charter was issued in 1893, UM has been the state's center of higher education. It is a major source of research, continuing education, economic development and fine arts, as well as a driving force in strengthening Montana's ties with countries throughout the world. The university calls itself a "city within a city," and contains its own restaurants, medical facilities, banking, postal services, and ZIP code. The University of Montana's Maureen and Mike Mansfield Library houses the earliest authorized edition of the Lewis and Clark journals. Location & access map for "University of Montana"